06.05.2018 Choral Energy! concert 12th May at 7.00pm Our fundraising concert on 12th May at 7pm is now next week! See the posters in the parish room and noticeboard for more information. Tickets are still available after Mass. You can also purchase them from the ticket office on 01676 532475 or email tickets@brgparish.org.uk. Buy your tickets soon as we are expecting a lot of interest! 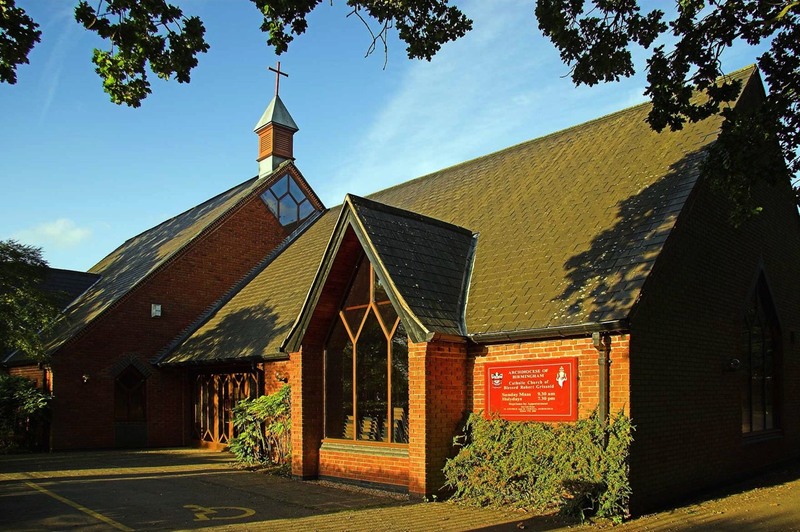 06.05.2018 Churches Together CTBB An Ecumenical Choral Evensong and Christian Aid Exhibition: St Peter's Church, Balsall Common is hosting an evening service on Sunday 6 May at 6 pm to which all the local churches have been invited. Also attending are the Mayor of Solihull, Councillor Stuart Davis and the Mayoress, Mrs Sarah Walker. The service will be taken by Revd Peter Thomas, Vicar of the Parish. 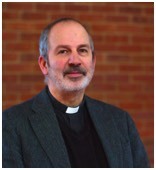 Speaking at the service will be John Cooper, Christian Aid Regional Coordinator for Coventry, Warwickshire and Solihull. There will also be a Christian Aid photo exhibition in St Peter’s Church which highlights the position of displaced people from Nigeria, Kenya and Iraq. See notice board for more details. 26.04.2018 Mass with the Sacrament of the Anointing of the Sick Every last Thursday in the month there is an opportunity for those who are sick to partake of this sacrament. The practice of being anointed with oil as a powerful prayer for strengthening and healing dates back to the earliest Church. Scripture bears witness to this when it says: "Are there any who are sick among you? Let them send for the priests of the Church and let the priests pray over them, anointing them with oil in the name of the Lord; and the prayer of faith will save the sick persons, and the Lord will raise them up; and if they have committed any sins their sins will be forgiven them." 22.04.2018 Our Field & Berkswell Parish Council Last week we asked you to reject Berkswell Parish Council’s request (via their Neighbourhood Development Plan) to have the field designated as ‘Local Green Space’. If you have not already done so, today being the last day for making a response to the proposal, please go onto their website www.berkswell.org . Thank you. For further information, please speak with Godfrey or Joe. 22.04.2018 The children's liturgy team are looking for new recruits Whether you want to run a session or just sit in, your help will be greatly appreciated. All helpers need to complete safeguarding paperwork, which we can complete with you after Mass. Please see Kathryn Driffield or Monica Green if you are interested! 15.04.2018 100 Club Draw 1st Chris Mitchell (37), 2nd Nigel Driffield (58), 3rd Eileen Selby (99). 15.04.2018 HERO - Heart of England Retirement Organisation HERO - Heart of England Retirement Organisation is a locally based Trust that may provide financial assistance for the older members of the community in Balsall Common, Berkswell, Meriden and surrounding areas. For more information or an application form, please go to www.balsallcom.com/hero or phone Ann Crossley 01676 533056. Please see the notice board and there are also a few leaflets at the back of church. 15.04.2018 Child Contact Centres at Hall Green and Smith’s Wood, Volunteers wanted A Child Contact Centre is a safe and friendly place, run by volunteers, where a child spends time with a parent (or other family members) with whom they do not live. The role of the volunteer includes assisting with setting out and tidying up toys and games, and welcoming and supporting centre users. For further details please refer to the websites - Hall Green Child Contact Centre or Smith's Wood Child Contact Centre or Phone 0121 777 9873 or 07746 532261. Please also see the notice board. 12.04.2018 PCC Special Parish Meeting PCC Special Parish Meeting will be held at church on Thursday 12 April at 7:30pm The main object of the meeting is to plan our Parish Concert on 12 May. If anyone is willing to help please come along to the meeting. 10.04.2018 Get-together The next meeting is NOT this week, but is postponed until Wednesday April 10th. at 10.30 am in the parish room, for tea, coffee and cakes. 01.04.2018 CAFOD An enormous thank you to everyone who contributed to this year's CAFOD Family Fast Day collection. A total of £372.60 was donated, which the Government has matched, making £745.20. Also £279 of the contributions were Gift Aided, adding on an extra £70 – so the final total comes to over £815 which will greatly transform the lives of many. Thank you! 01.04.2018 Masses this week Please note that there will be no Mass this Thursday but there is a Mass for the first Friday of the month. Weekday mass times are on the back of this bulletin. 01.04.2018 HCPT The Pilgrimage Trust Group 83 left Birmingham Airport yesterday morning to spend a week in Lourdes. They return next Saturday afternoon. While they are there, everyone in the Group (9 adults & 4 young people) will remember your love and kindness to them. Please do remember them in your prayers, as they will remember you in theirs. May they all return full of joy and happiness and hopefully bring back a little of Lourdes which they will share with their family and friends. 01.04.2018 Walk With Me There are a few of these booklets left for the season of Easter; please take one if you have not already done so. A donation of £1 to cover the cost can be put in the Piety Box. 30.03.2018 Churches Together Walk of Witness The walk of witness will start at St Peter’s Church at 10.30 am on Good Friday. The route will include Balsall Common Primary School, Heart of England School, The White Horse Inn, Blessed Robert Grissold Church, the Co-op and village shops – you are welcome to join at any point. The walk will be followed by a simple lunch at the Methodist Church at 12 noon.